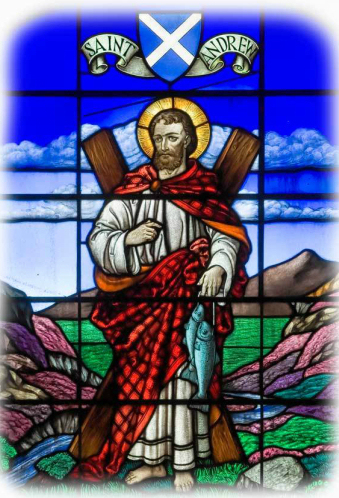 Here we bring you information on Religion in Scotland which includes the King James Bible as well as sermons and other religious texts on Scottish missionaries, etc. Edited by the Rev. Norman MacLeod. This is one of a series of volumes that were published for many years and this is the first edition. Rev. Norman MacLeod's memoirs can be read below. Minister of Barony Parish, Glasgow; one of Her Majesty's Chaplains; Dean of The Chapel Royal; Dean of The Most Ancient and Most Noble Order of The Thistle. By his brother The Rev. Donald MacLeod, B.A. (1876). By William Morrison (1899). A fighter for the Presbyterian system in the Church in the 16th century. The January 1858 issue in which a discussion goes on about slavery and the attitude of the church. Also contains other interesting articles. A Historical Sketch by Peter Lorimer D.D. Author of the Concordance of the Old and New Testaments. Here we provide an account of his life and a copy of the Concordance in pdf format. Being the Kerr Lectures for 1897. By the Rev. D. W. Forrest, M.A. Edinburgh : T. & T. Clark. 1897. Morphological Being the Gifford Lectures delivered before the University of Edinburgh in 1896. By C. P. Tiele, Theo.D., Litt.D. etc. Memoirs of the Rise, Progress and Persecutions of the People called Quakers in the North of Scotland. They are recording their Sunday service on YouTube. An article from Tait's Edinburgh Magazine c1843. Life and Letters of John Paterson Struther, M.A. By the Rev. Archibald Bennie, Minister of Lady Yester's Parish, Edinburgh. The Historical Connection of Modern Presbyterian Churches with those of Apostolic Times, through The Church of Scotland by Rev. T. V. Moore, D.D. By The Rev. Ian A. Muirhead, M.A., B.D. A Prosopographical study of Scottish Nuns in the later Middle Ages By Kimm Curran, B.A. Memoir of the Rev. E. Henderson, D.D., PH.D.
A Memoir of the Life of John Tulloch, D.D., LL.D. Sermons and Letters of the Late Rev. Alex. Pringle, D.D. Memoir of the Late Rev. Alexander Stewart, D. D.
Theological training to prepare you for future service.